Follow the Ainigmata Ostraka riddle to locate the Docked Hound and claim the reward. 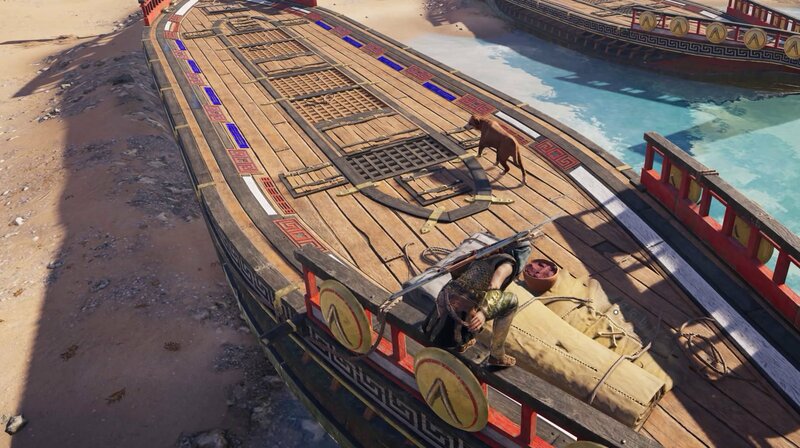 Assassin's Creed Odyssey is a game with countless secrets for players to uncover, with some secrets being a little less obvious than others. Players looking to track down rare treasure and special engravings should be on the lookout for tablets called Ainigmata Ostraka, the likes of which contain clues to a location where rewards can be found. One of those tablets, in this instance called Hound Docked, tasks players with seeking out a hidden treasure just outside the Occupied Forest of Tripodiskos. 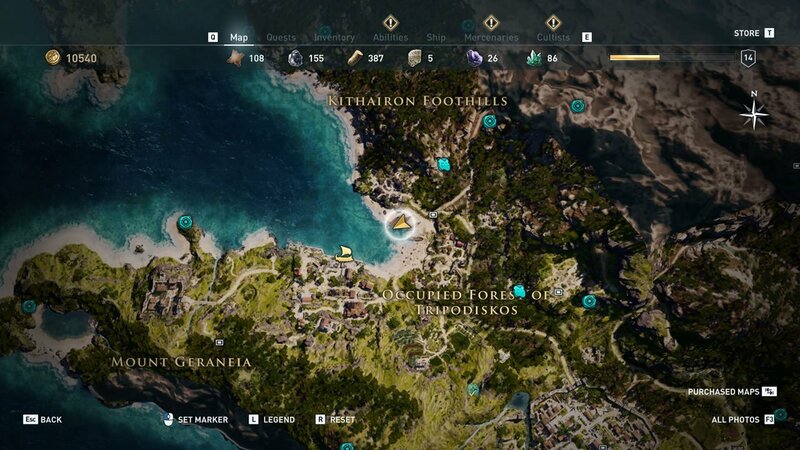 The location being referenced is within the Occupied Forest, just north and slightly west of the map's text overlay, in a small bay playing host to a set of moored ships. Find the area, then look for the ship with a dog on board — it'll be the second northernmost vessel in the area. Approach the two crossed bones sitting near the fore of the ship to claim the reward. With the Hound Docked Ainigmata Ostraka out of the way, players are free to move on to the rest of the game's numerous riddles and hidden rewards. 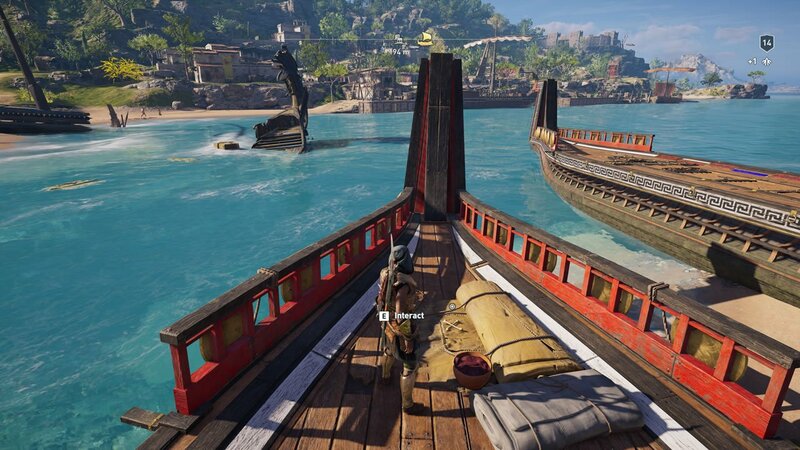 To learn more about the others, be sure to head over to Shacknews' extensive Assassin's Creed Odyssey walkthrough and guide.